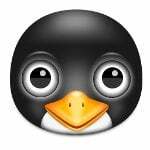 I am looking to setup MariaDB SSL (Secure Sockets Layer) and secure connections from MySQL client and PHP application. 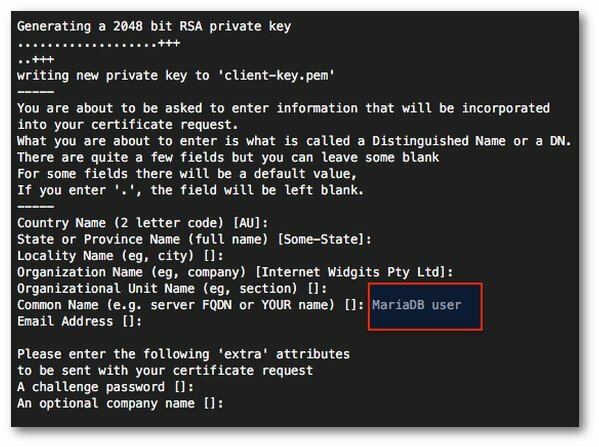 How do I enable SSL for MariaDB server and client running on Linux or Unix-like system? 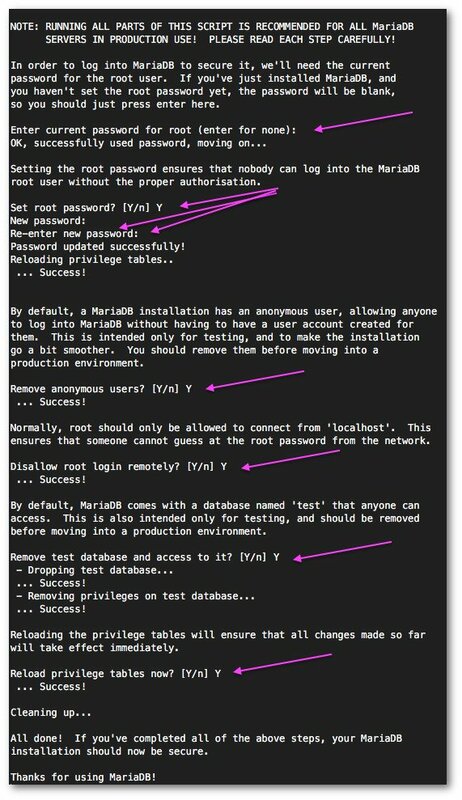 MariaDB is a database server that offers drop-in replacement functionality for MySQL server. MariaDB is built by some of the original authors of MySQL, with assistance from the broader community of Free and open source software developers. In addition to the core functionality of MySQL, MariaDB offers a rich set of feature enhancements including alternate storage engines, server optimizations, and patches. 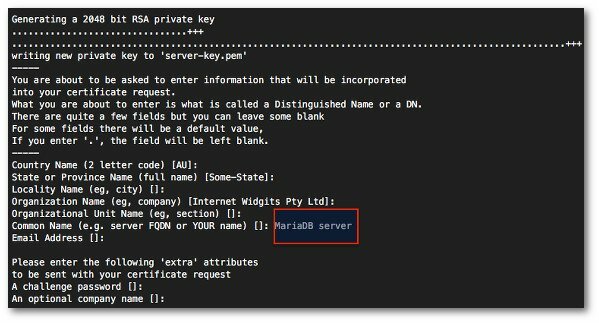 In this tutorial, I am going to give the instructions on how to setup MariaDB server with SSL, and how to establish secure connections from the console and PHP scripts. It is important that you use 192.168.1.100 as common name while creating SSL certificates. 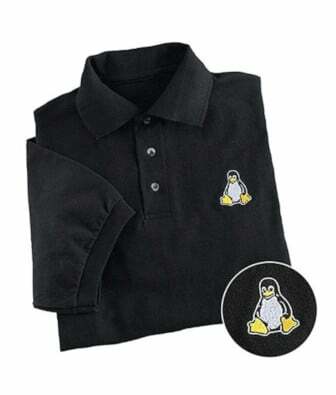 Type the command as per your Linux or Unix variant. 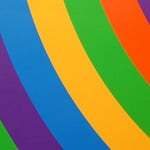 /etc/mysql/ssl/ca-cert.pem – Certificate file for the Certificate Authority (CA). 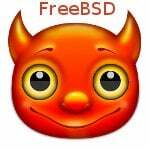 /etc/mysql/ssl/ca-key.pem – Key file for the Certificate Authority (CA). I am going to use both files to generate the server and client certificates. 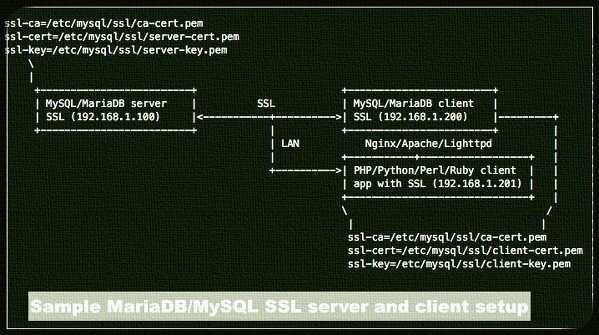 /etc/mysql/ssl/server-cert.pem – MariaDB server certificate file. 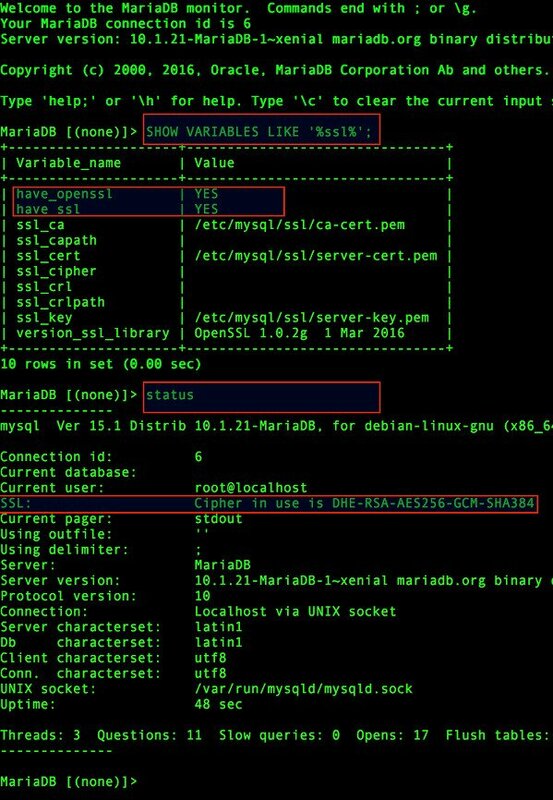 /etc/mysql/ssl/server-key.pem – MariaDB server key file. You must use above two files on MariaDB server itself and any other nodes that you are going to use for cluster/replication traffic. These two files will secure server side communication. Step 6 – How do I verify the certificates? 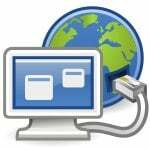 There should not be any error and you must get OK answer for both server and client certificates. You can read captured traffic with tcpdump or other tools such as Wireshark. Nice guide but what if we’re not in the lan and we want to use TLS? Are we supposed to create a new certificate for each IP as a “road warrior”? Make sure you edit my.cnf on client for certificates. thank you for this guide. This looks easy. Keep up with this work. I am a bit confused, that you mentioned php scripts in the beginning of the guide and ended up with python scripts at the end of the tutorial with no php scripts at all. Maybe you could correct one of the two parts of this guide. Just a thought.